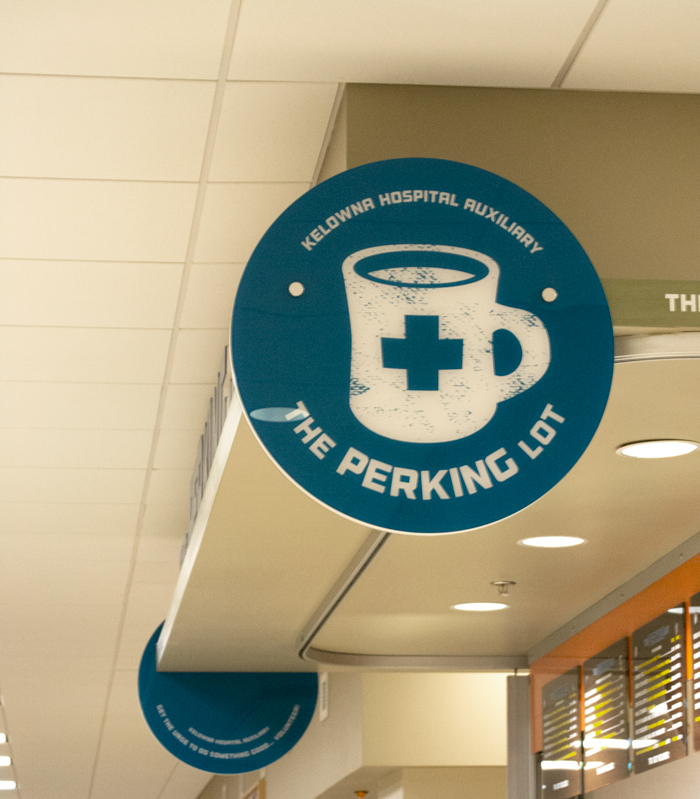 The Perking Lot is a volunteer run coffee bar located in the new six-story Centennial tower at Kelowna General Hospital. Following the addition of a new tower at KGH, The Perking Lot took up a prominent location in the lobby and required a rebrand to match their new space. Playing off a vintage theme, a diner-esque look was achieved blending a retro font, kitschy mug and a worn, distressed texture. Funds raised for the Kelowna Hospital Auxillary are raised primarily through the operations of The Perking Lot. The Perking Lot is conveniently located in the new reception area of Kelowna General Hospital. Having a brand that looked as new and fresh as the hospital itself was important. This cafe experience was going to be a focal point for hospital visitors and guests, and the branding and design needed to reflect that level of importance.